A painting of Dame Edna Everage in an Australian flag dress. 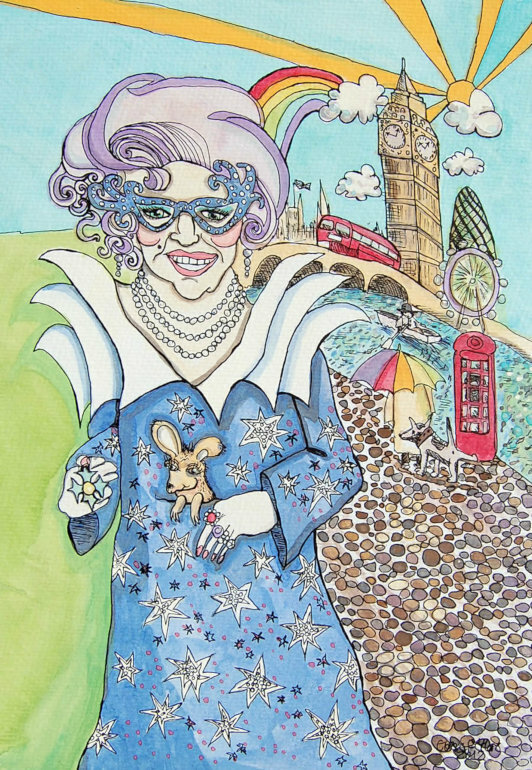 A painting of Dame Edna Everage in her Australian flag dress, which has a collar in the shape of Sydney's Opera House. Because Dame Edna performs more in the UK than anywhere else the background is an English cobbled street. With the mount and frame the painting measures 36 x 46cm.